When asked what’s important to them, North Koreans might talk about working hard, or doing well at sports, or having a big family. But leader Kim Jong Un is never far from the conversation. 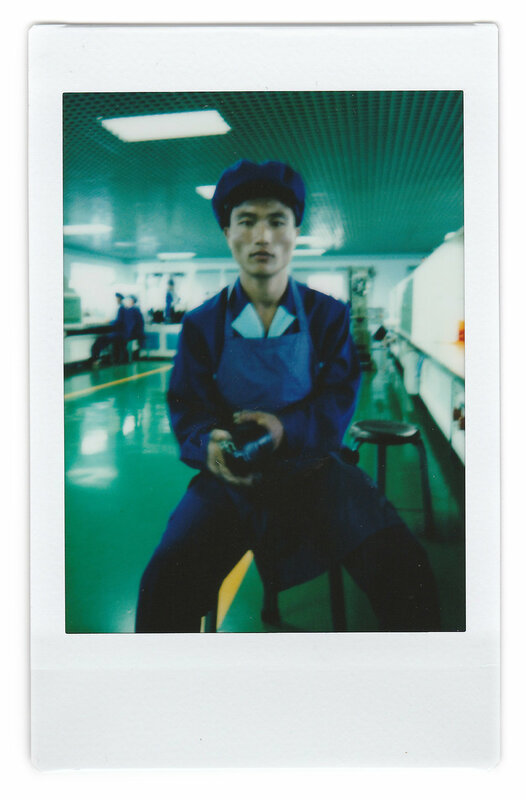 There is nothing nicer than actually approaching a story through a slightly more personal angle, and even more so, in North Korea, which doors are pretty closed to the outside world. 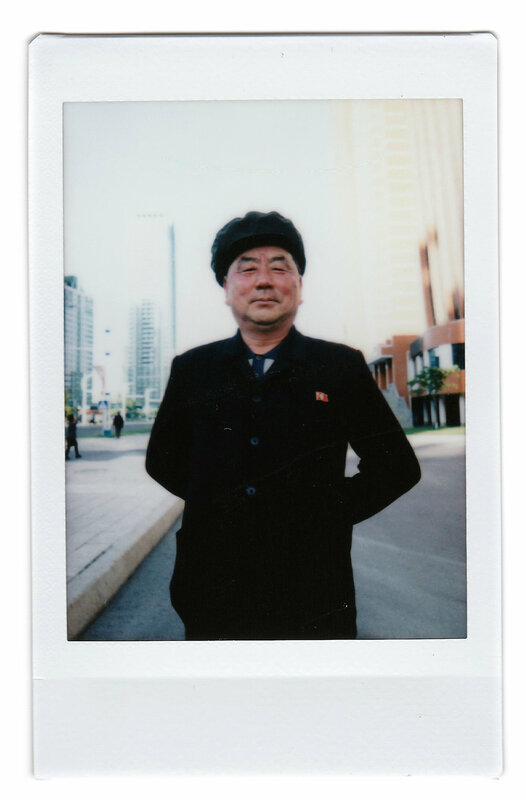 You know, people from outside North Korea look at a set of portraits, they just see faces, they see people. If you see a whole collection of pictures it’s almost like a time capsule from that country. 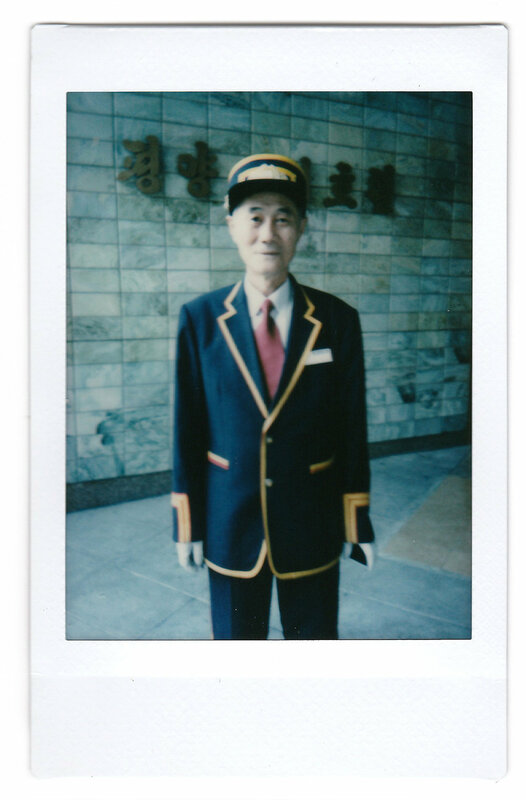 It’s never really easy approaching strangers but I thought that it would be nice if I could, you know, give them a picture of themselves and, I mean, the best way to do it was to use an instant camera. 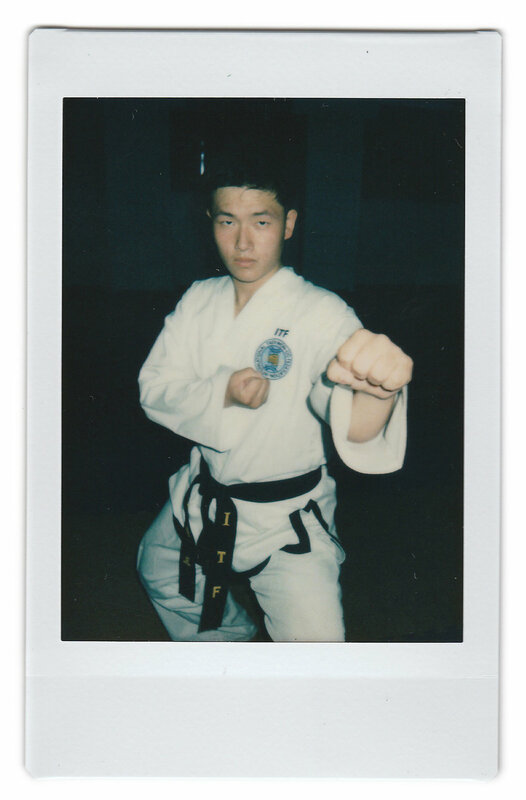 You take a picture, an instant picture pops up, which then becomes like a form of ice breaking. When people see the picture they become less suspicious of what you are doing and it’s less intimidating than the SLR camera. The project itself evolved in a few ways. One of them was I started asking them questions about what their life motto was but all of them kind of gave me an answer which worked around the theme of a propaganda slogan, which is popular around North Korea, which is "single minded unity". A lot of their answers were based on a theme of "protecting their fatherland", of protecting their current leader Kim Jong Un, or "pleasing him". One of the first few portraits I had taken was of this wedding couple. I was standing quite far away, and they noticed me but they didn’t seem to feel uncomfortable or express that they didn’t want their picture to be taken. 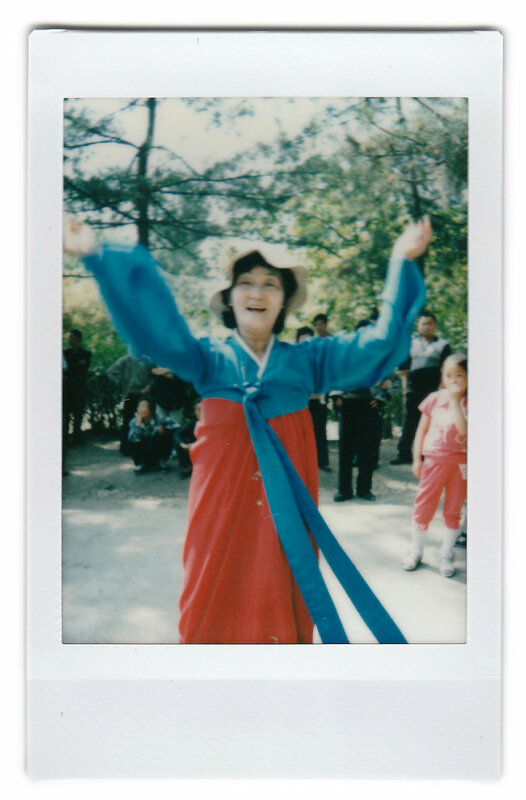 So as they walked past, my Korean colleague and me shouted out, "Chukha Hamnida” (congratulations in Korean). Immediately we got a response that was warm so that was the point where I go, "Can I please take a picture? ", because the bride was very beautiful, she was dressed up in a traditional dress, the chogori. 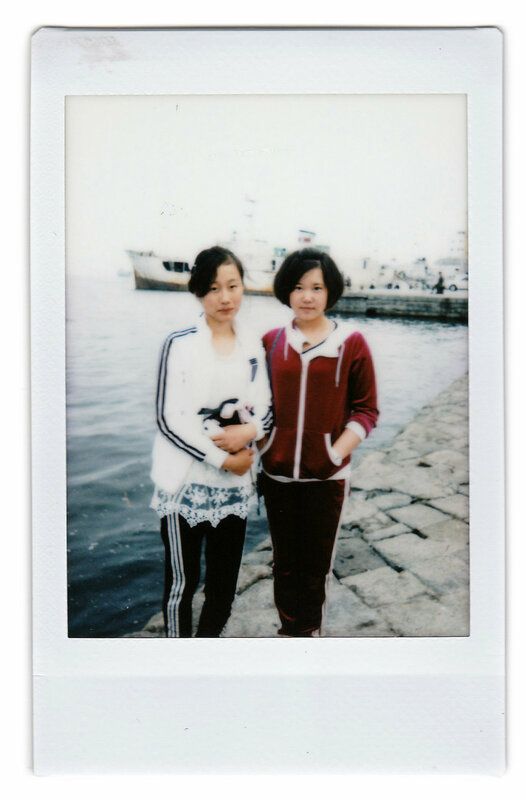 Before using my SLR camera, I decided to take my Instax camera, I gave them the picture. It gave me an opportunity to interact with them a little bit. I asked them a question of what their motto in their life was and they gave me an answer which was unexpected at first, which was: "We would like to have many children." They continued the sentence by saying: "We want to have many children so that they can grow up and serve in the army and protect the fatherland and please the leader Kim Jong Un." Maye-E's question for everyone she photographs: What is your motto? Their answers reflect both their varied lives and the government that looms incessantly over all of them. This story is part of a new series called “Republic of Kim,” where The Associated Press will explore what North Korea is like under the regime of its young new leader, the third in the ruling dynasty of Kims. Five years ago, Kim Jong Un assumed power over North Korea, a country whose mere existence seems to defy all logic. Also five years ago, AP opened the Western media’s first bureau in Pyongyang; a sign of change in a society that, contrary to popular assumptions, is rapidly evolving. 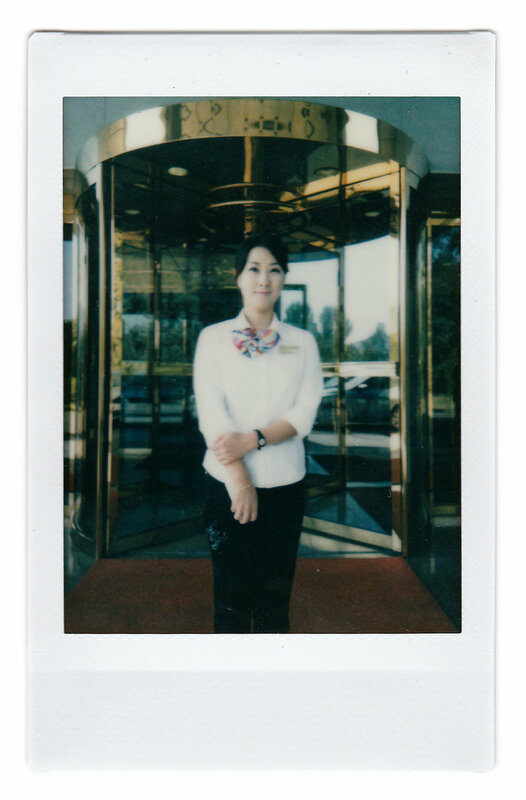 In this video, AP photographer Wong Maye-E explains how she tries to get her North Korean subjects to open up as much as is possible in an authoritarian country with no tolerance for dissent and great distrust of foreigners. 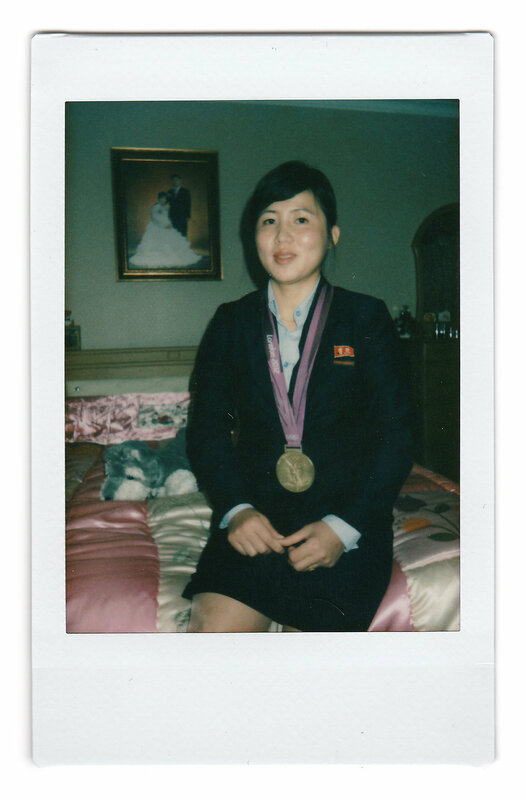 Text from the AP news story, N. Korea portraits: Ordinary lives, ever in leader’s shadow.